Martial Arts for Climate Change? On a scale of 1-10 what is your level of interest or concern regarding climate change? We’ve been talking about it for a long time haven't we? My awareness has grown but my action-level has not increased. Just by the nature of my lifestyle I think I can say my carbon footprint is lower than average. I may not be a vegan, but my consumption-level of meat is pretty low. Where am I going with this? Only a few months ago I was invited to attend a formal gathering for Project Drawdown in the San Francisco area. I really didn't know what to expect. Drawdown refers to the point at which greenhouse gases stop increasing, and begin to decline on a year-to-year basis. 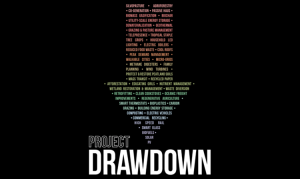 Spearheaded by known author Paul Hawken, Project Drawdown is a book, digital platform, and basis for curricula that identifies the 100 most important and achievable solutions to the climate crisis (Orion Magazine). In an interview he says, "We’ve shied away from general terms like “organic farming” and “renewable energy,” because you cannot measure generalities... We have known about climate change for decades, but, until now, no one has compiled a list of the fifty, seventy-five, or one hundred most substantive, extant solutions to the problem." Climate change was the hot button issue at Project Drawdown. While attending the gathering, I began to reflect. How could I contribute? Let me begin by sharing some key points that resonated with me. 1. Rising Temperature. As the greenhouse gases rise, the temperature of the planet also rises, forcing many species to migrate. Evicted from their homes, a given species no longer has its main source of shelter, food, and water. It's quite sad what we are doing to these animals. For a list of some animals affected click here. 2. Throwing in the Towel. From 2003 to 2010, 140 foundations funneled $558 million to almost 100 climate denial organizations (Scientific American). People and organizations, touted as tree huggers, whom were counted on for activism and building awareness, began to give up and throw in the towel. 3. Awareness and connection. We don't really take an action of remedy until we reach a crisis point. At that point, it's a fight for survival. This occurs on all levels from the individual to the global scale. We fail to recognize our irrefutable connection to nature and one another, which does not build a framework for sustainable living. I began to spin my wheels and wonder how others might become actively involved in such pressing matters. I realized, it is very similar to encouraging someone to take up a fitness regimen for health maintenance. In my experience, people are generally not concerned with the idea of maintaining. In terms of health and wellness, they often think, “if it's not broke, why fix it.” Only until they experience severe malfunction, do they rush to the doctor saying, "fix me as fast as you can so I can get back to my life." If it takes a crisis for people to take responsibility for their own well being, how can we expect them to build healthy habits for the planet's well being? What came to mind was our mission at the Retreat Center, which is to preserve Chinese Martial Arts. I concluded that the goal to preserve a dying art was similar to the goal of sustaining a dying planet. The root of the problem comes from disconnection. The arts die when we forget that we are connected to one another, and the planet dies when we forget our connection to nature. We have reached a crisis point due to these disconnections. The symptoms of a dying planet can no longer be ignored or dismissed, and the fact that the planet is sick is a direct reflection of our own sickness. How many of us know where our food comes from and by which process? How many of us know the taste of water which comes from the earth? How many of us can sense when the air we breathe is toxic? 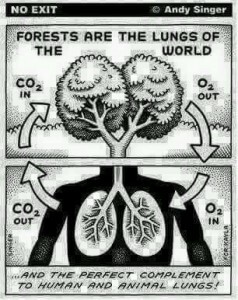 Not appreciating our air has caused a lost reverence for the trees, abandoning our connections and relationships to them. We should not treat our bodies like our cars, handing over responsibility to doctors. Likewise, we can't take earth into the shop to get an oil change. Individually we need to assess the choices we make, moment to moment, and ask if we treat our bodies with similar lost-reverence. Do we pollute the air of our bodies? Do we dump garbage into the rivers and streams of the body? Do we deplete our own energy reserves? Do we just pay lip service to concepts like sustainable living, healthy choices, natural food, and clean energy? In the wellness industry there is huge emphasis on habits, personal responsibility, and self-discipline. Those of us who take responsibility for health, understand that no one is going to do the work for us. That is a crucial self-connection we need to make as individuals. It requires awareness and effort to take wellness into your hands, if you want to prevent illness and disease. 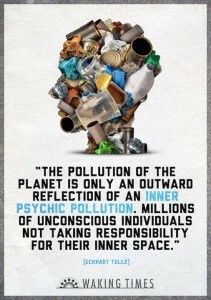 Likewise, it takes a feeling of connection to the earth to take responsibility for its resources. I came to live in direct contact with nature at the YMAA Retreat Center and I began to change. Located in the Redwood Forest of northern California, I began to rebuild my own connections. Nature is the best teacher. 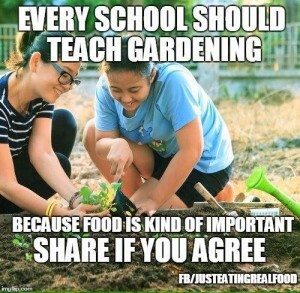 I found that I enjoy growing veggies and flowers. My latest is wheatgrass. Being actively involved in a process of creation I realized that one must be careful, meticulous and committed. The idea that something could live or die by my hands, engaged more self reflection. The actions may seem simple: to sow, nourish, protect, and harvest. However, the commitment and maintenance require work. The entire process builds profound connections. Witnessing a successful bloom encouraged me to apply the same meticulous process to my own growth and development. I learned systems of self cultivation and self preservation. While planting seeds for the next harvest I was also planting seeds for sustainable living. Self awareness, a connection to nature, and a respect for our resources was cultivated. Reflecting upon the Martial Arts community, I saw correlations. In gong fu, the day to day grind provides a framework of self-maintenance, discipline, and commitment. A practitioner builds interpersonal connections and a sense of community. Unfortunately most people reduce martial arts to just fighting and sometimes practitioners get pulled into this mentality. As a result we have reached a crisis point where the arts are dying. Students and teachers alike judge, criticize and condemn other dying martial arts, fracturing the community and creating disconnections. I realized that the opportunity to address sustainable living is not restricted to the global scale. We can directly influence climate change, where we live, work, travel, eat and breath. It’s time to build the framework of sustainability with connection and communication. Many groups, communities and organizations would rather stay propped on their pedestals of elitism, as if we haven't reached a crisis point. Our planet is gravely ill. 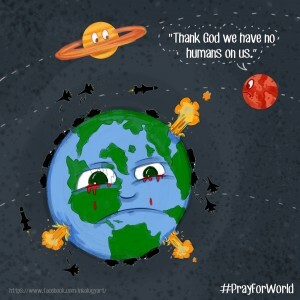 Animals are becoming extinct. Environmental advocates have lost hope, and support, as a result of climate-change denial and dismissal. I want to identify myself as part of a system, a link in the chain, a piece of the puzzle, a community member and a citizen of the planet. This is why I asked what your level of interest was. As you can see when we talk about changing the climate, the scope is vast, yet there exists many opportunities to help. But I shouldn't ask about your level of interest. Instead I should ask if you have reached your crisis point. If not, will you just sit and wait until our planet has stage-four cancer? The earth can be cleaned and we can see it bloom, so long as we can commit to careful, meticulous work. To live sustainably, we need to connect, communicate and harmonize. Well said Javier. This is very informative. 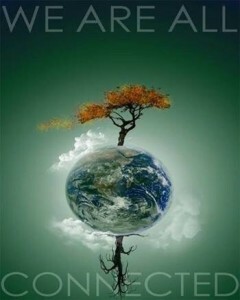 When human health is maintained the correct way, the animals and earth will be maintained as well. Unfortunately, our society has been living in the fast lanes.